‬‬I remember a time a few years ago when I was discouraged and heartbroken. My hopes had been swept away by a flood of circumstances I could not have forseen. I could not go back to where I was before and I could not stay where I was at. I could only walk forward into a future that I had not anticipated or imagined. I clung to Jesus. I grabbed hold of the promise that He would never leave me or forsake me. I tried to trust that He could redeem the circumstances as I watched everything crumble around me. I tried and failed- I couldn’t find trust or hope within my soul. Only heartbreak and fear. One morning I got early and took a walk. We were living in Las Vegas and our neighborhood edged the desert. With worship music loaded on my iPod, I set out to breathe deep and breathe in the presence of God. 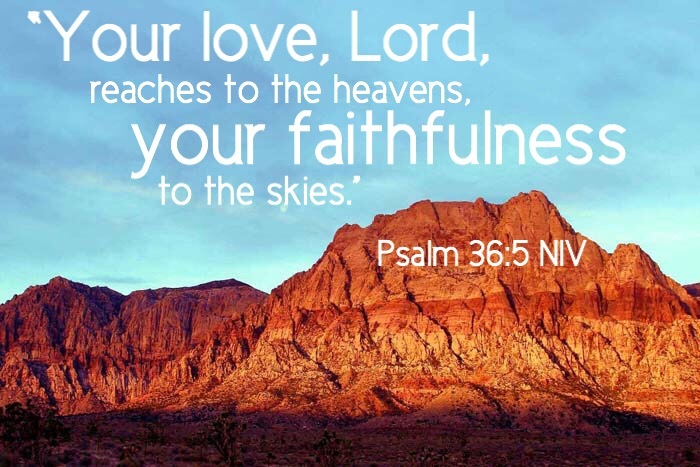 As I turned the corner out of my neighborhood and onto the desert road behind it, the song “Great is Thy Faithfulness” began. The sun was just rising over Red Rock Canyon and it was so beautiful that I almost dropped to my knees. It was a turning point for me. I carried that promise through a time that got harder long before it got better. That moment came back to me yesterday when I listened to Jordan Smith’s rendition of “Great is Thy Faithfullness” on The Voice. It was a beautiful and powerful performance. It is in the midst of the hardest of times that you discover God’s faithfulness. It is through the darkest of times that God sustains you when you can’t sustain yourself. It is when you don’t feel like you have any faith left that His faithfulness carries you. Hold on, your hopes are not lost. Jesus is faithful to complete what He has started in you. He will sustain you through this time and strengthen you in it. God’s faithfulness knows no end.